Thank you for pointing out so clearly the hypocrisy that is intrinsic and ongoing with the 10-Year Plan to End Homelessness. 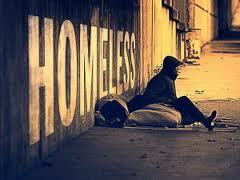 I would love to turn over to you all of my documents concerning homelessness. You’re probably familiar with all of them but might not have copies of some critical ones. I wanted so much to put them all together in a book providing evidence that could not be ignored but, in my old age, I know that the evidence has always been available but ignored by the reading public and ignored as well by those bearing responsibility for the solutions. Please let me know how to get in touch with you to talk about my material on homelessness (telephone, e-mail, etc.). It would also be a pleasure to talk to you.